Part of eating right to improve your body composition is making sure that you are getting sufficient protein powder into your daily diet plan. Simple put, lack of protein is one of the top reasons that many people experience lean muscle mass loss, leading them to go on to suffer from a slow metabolism and a general sense of weakness. The good news is with the high quality whey protein powders available, you can easily overcome this . Just one or two scoops a day is all that’s needed to help you reach your daily quota. This said, does the thought of slamming back yet another protein shake leave much to be desired? For many people, it does. Whether you simply aren’t a fan of whey protein powder or have had thousands of shakes in your life already, you’re looking for an alternative way to consume your whey. Luckily, there are a number of options to getting your protein in. 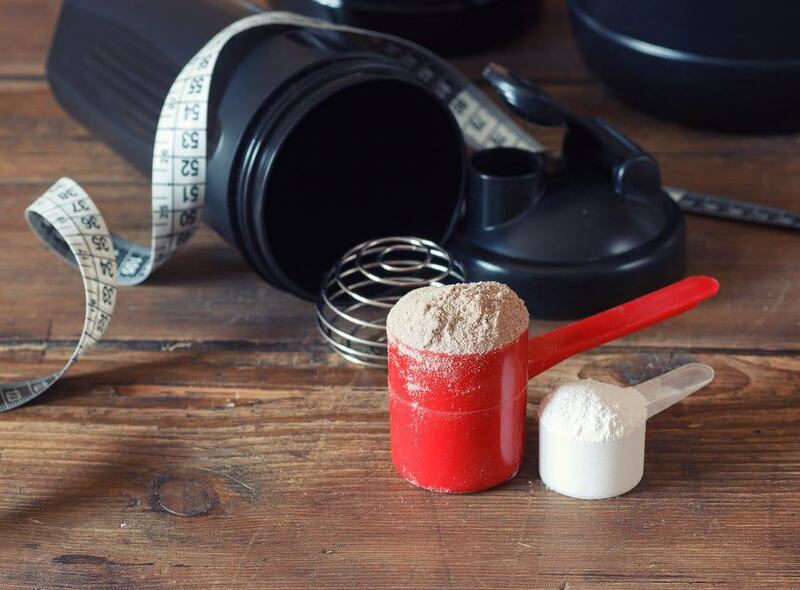 Let’s look at five delicious ways to use whey protein powder in your diet that will make getting your protein needs met easier than ever. For many of us, getting breakfast in at the start of the day proves to be one of the most challenging parts of sticking with our diet plan. We’re in a rush and often don’t crave typical breakfast-like food. This doesn’t mean you should leave home without good nutrition though. If you simply opt to use caffeine to get you through your morning or stop and pick up a donut at the local bakery, you can be guaranteed to crash by mid-morning. 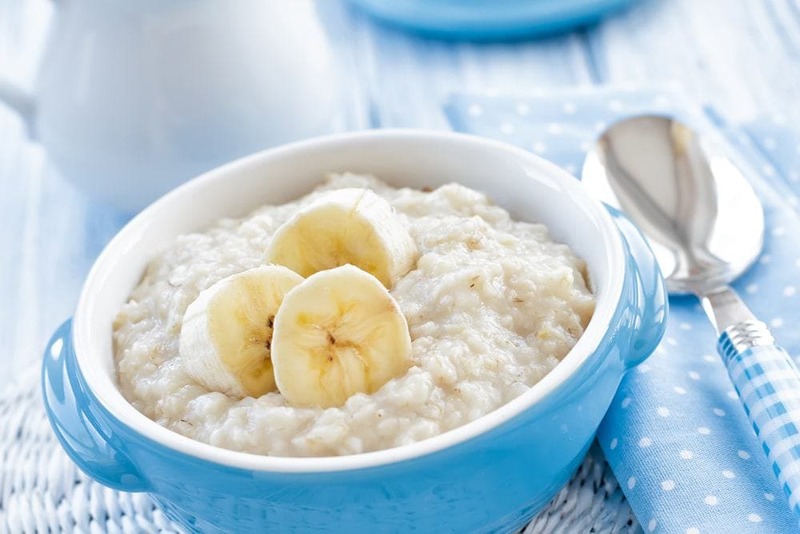 Oatmeal is a perfect way to start your day as it’s a complex carbohydrate source that’s rich in dietary fiber. As long as you choose unflavored oats, you’ll also take in no added sugar as well. It really doesn’t get much better than that. This said, plain oatmeal is, well, if you’ve ever had it, boring. Liven it up a bit by adding a scoop of protein power. Simply cook the oatmeal according to package directions and then stir the protein powder in once it’s finished . Note that you may need to add a little more water if desired to reach the desired consistency you prefer. You can also take this one step further to make it a complete meal by stirring in a tablespoon of natural nut butter or sprinkling some nuts on top. Fresh berries or a sliced banana on top are also equally delicious and will give you an added dose of antioxidants to get your day going right. Another delicious alternative to getting protein powder in is by preparing a batch of delicious home made protein cookies. These are entirely clean and contain so few ingredients that they can easily fit just about any diet plan. 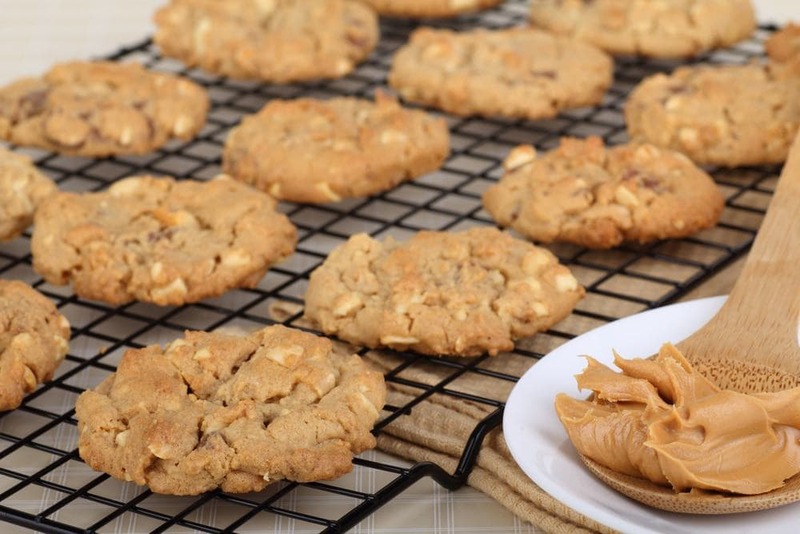 Simply mix these ingredients together in a bowl and then form into bite-sized cookies. Note that you can add in whatever additional ingredients you prefer – dark chocolate pieces, nuts, dried fruit, or even dried unsweetened coconut flakes. Bake these at 350 degrees for about 10 minutes and then enjoy. Want to cool down on a hot summer’s day? Protein bark can help you do just that. If you crave ice cream but don’t want the calories, this is a great substitute. Plus, thanks to the Greek yogurt it contains, you’ll also get a nice dose of calcium as well. Combine all the ingredients except the walnut pieces in a blender. Blend until smooth. Pour this into a freezer safe container lined with wax paper. Top with walnut pieces and then freeze for about 5 hours. Remove from the freezer, slice and serve. Another great breakfast idea or just a meal you can serve at any point during the day when you’re in a rush is protein pancakes. There are so many different recipes out there to prepare protein pancakes that you can virtually find one that will fit every dietary need. Whether you’re on a low carb, low calorie, or low fat diet, you can make this one work for your meal plan. Here’s a relatively basic protein pancake recipe you can try out that’s well balanced in all three of the key nutrients. Blend all the ingredients together and then pour onto a hot non-stick skillet and cook like you would a normal pancake, flipping after 2-3 minutes and edges are looking bubbly. Serve with a little sugar free maple syrup. Finally, last but not least, if you need to bump your calorie intake up and get more protein into your diet plan, these protein energy bites are a fantastic option. They contain a balanced mix of protein, carbohydrates, and dietary fats as well, and are easy to transport with you wherever you happen to be going. Make a batch to keep on hand at all times whenever you need a quick pick-me-up. Mix all ingredients together except the coconut flakes, adding a little more honey if necessary. 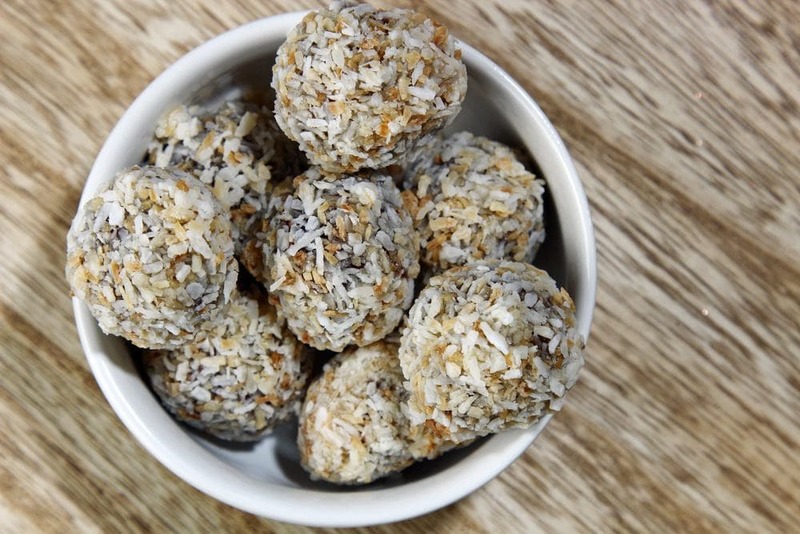 Form into bite sized shaped balls and then roll in coconut flakes. Place in a sealed Tupperware container until ready to eat. So don’t let yourself feel bored with whey protein powder any longer. There are so many creative ways you can add this to your diet plan and meet your needs in a hurry. Daniel W. D. West,1 Sidney Abou Sawan,1 Michael Mazzulla,1 Eric Williamson,1 and Daniel R. Moore2,* Nutrients. 2017 Jul; 9(7): 735. Proteins in Oats; Their Synthesis and Changes During Germination: A Review. Klose C1, Arendt EK. Send to Crit Rev Food Sci Nutr. 2012;52(7):629-39. doi: 10.1080/10408398.2010.504902. Older How to Gain Weight Fast the correct way!